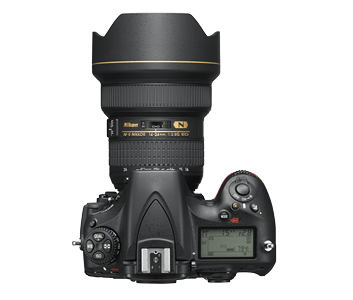 Built specifically for astrophotography, the D810A delivers stunningly-sharp images that are rich in detail and vibrant colours, bringing your vision to life. The collective power of a 36.3-megapixel FX-format CMOS image sensor and EXPEED 4 image-processing engine maintains a rich tonality and high resolution. Its wide ISO range of 200 to 12800 (expandable from 100 to 51200) captures incomparable images of the nebulae, efficiently minimising noise even at high sensitivities for a wide variety of shooting environments. 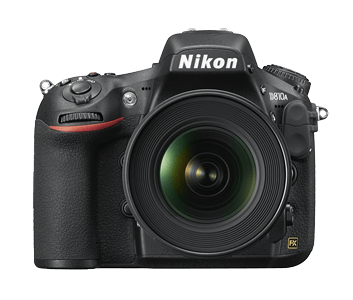 The D810A features the most outstanding resolving power amongst the Nikon DSLR cameras ensuring that every miniscule detail of deep space is captured with crystal clarity. 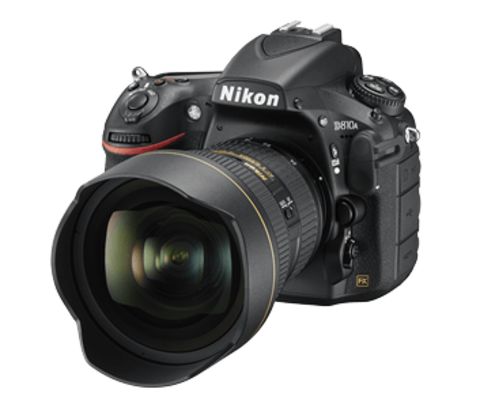 The electronic front-curtain shutter feature available under the Mirror-up shooting function reduces vibration of internal mechanics and mirror movement, retaining pixel-precise sharpness in long exposure shots. The limit for continuous shooting in CH or CL release mode with a shutter speed of 4 seconds or slower has also been infinitely extended. 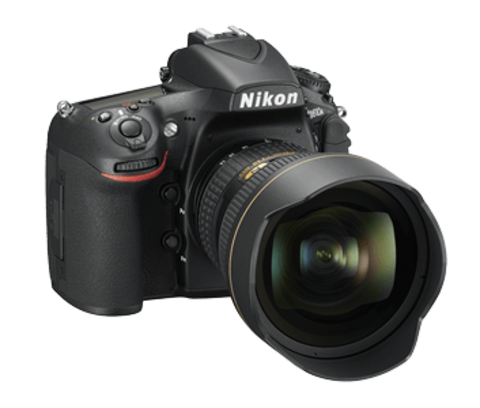 This allows you to fully capture beautiful star and light trails for as long as your memory card capacity and battery permit. *1 The D810A is a digital SLR camera designed exclusively for astrophotography. When shooting under light sources with a significant amount of near-infrared wavelengths, or capturing common subjects exhibiting high reflectance at near-infrared wavelengths, resulting images may exhibit an unusually red cast. As an appropriate color reproduction cannot be obtained, this model is not recommended for general photography. *2 When Bulb or Time is set at M mode or M* mode, or when the shutter speed is set at 60, 120, 180, 240, 300, 600 or 900 seconds at M* mode. 1. PictBridge is a trademark. CompactFlash is a registered trademark of SanDisk Corporation. HDMI, the HDMI logo and High-Definition Multimedia Interface are trademarks or registered trademarks of HDMI Licensing, LLC. Products and brand names are trademarks or registered trademarks of their respective companies. Images in viewfinders, on LCDs and monitors shown in this material are simulated. Specifications are subject to change without any notice or obligation on the part of the manufacturer.